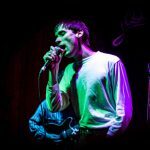 As Meilyr Jones visits Studio 2 in Liverpool as part of his first headlining tour, Getintothis’ Cath Bore observes the former Race Horses frontman coming into his own. 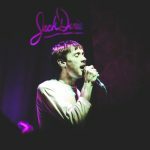 Seeing Meilyr Jones last October at The Dome, Grand Central Hall, part of Liverpool Music Week was a giddy shock. 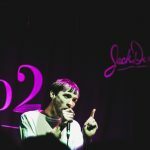 One minute we’re standing there with plastic glasses of lager warming impatiently in our hands as we wait for Richard Hawley and his turn ups and gags about peas in his freezer, when this tall whip of a man flickers onto the stage and wows us with his clever baroque pop. His debut solo album 2013 came out in March and we turned evangelical, sitting friends down and forcing them to listen to it, and we’re not sorry. Specialness like this doesn’t come around very often. 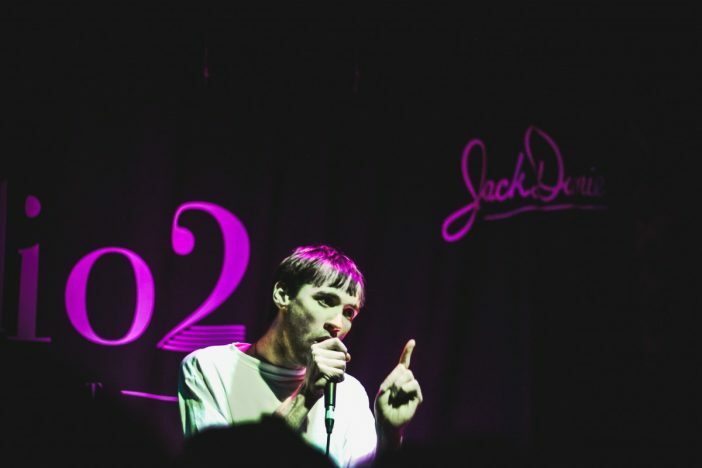 We’re on pins all day before his return to Liverpool, at Studio 2, part of his first headlining tour. I’m thinking, will it be as good at the first time, do you remember the first time? Supporting Hawley, Jones played much bigger venues than he’s used to. “I had to learn how to perform…really, really perform”. And he has, too. 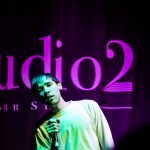 With its pine wood walls, Studio 2 has the look of a Swiss ski chalet but the way Meilyr Jones goes for it, he might as well be at Barrowlands in Glasgow or London’s Roundhouse. The microphone stand tonight is too short for him, but he makes a joke of it. Starts How to Recognise A Work of Art, his observation on the bullshittery of cultural authenticity, with a yelp, it‘s like the snapping on of a switch. On the day of David Gest’s funeral with its random sleb attendees, it’s appropriate that in the line “I saw your video of you with Kurt Cobain…“, the reference to the Nirvana icon is replaced by with “the z list”. 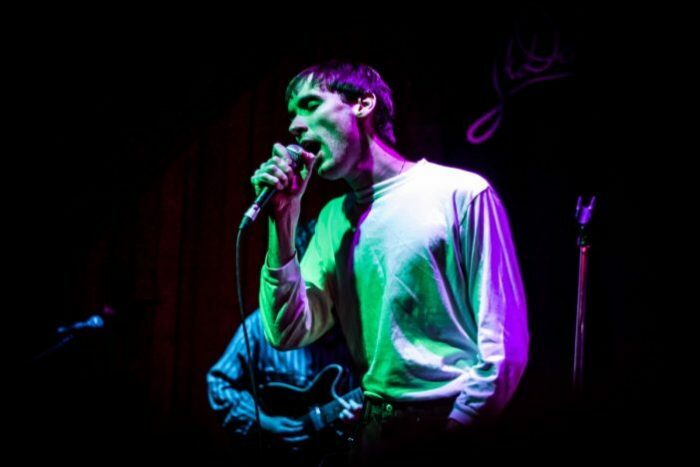 Tonight Jones works the low stage, and eye flirts with the front row, lone chatter at the back of the room shrunk to silence as he pauses mid-song, not unkindly but with the grace of an understanding bridegroom until the whispering stops. It doesn’t take long. 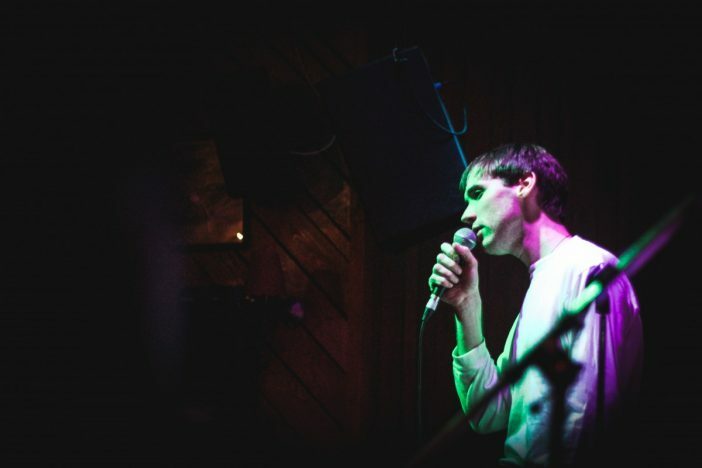 Love, a quiet embracing of faith, and Refugees, “switch off, switch off your television…” are performed simply, Meilyr Jones and piano, as his band sit and enjoy as much as we do. It’s bare and beautiful and perfect. Jones’ songs are intense, emotional and romantic, but there’s a quick and ready wit close to the surface. His cheeky affections are ramped up tonight in a total Bowie / Rebel Rebel wig-out on Strange Emotional. The set is ended with a new song, Watchers, about a man who stares out at the beauty of the sea for so long he goes blind; deliciously dark humour. Once he says his goodbyes and the lights come up, everyone is a little heartbroken. 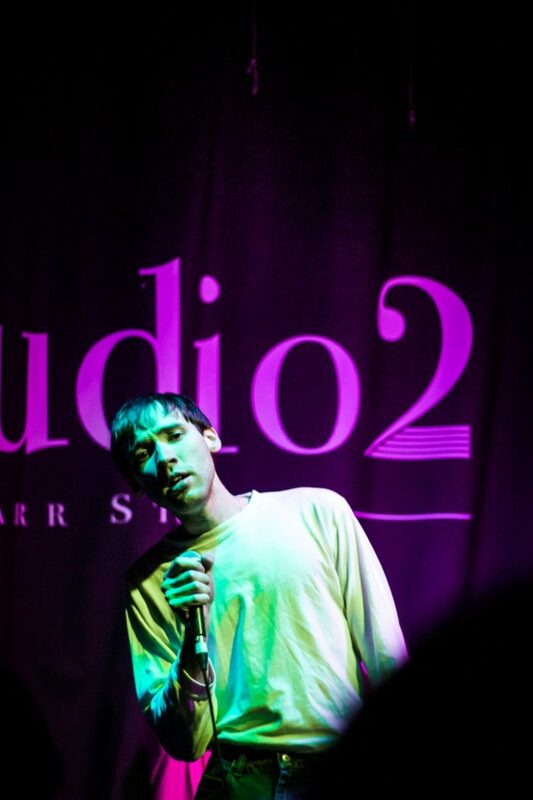 Because although he’s coming back to town in October, we think we all know we won’t get to see Meilyr Jones in such an intimate space as Studio 2 again. 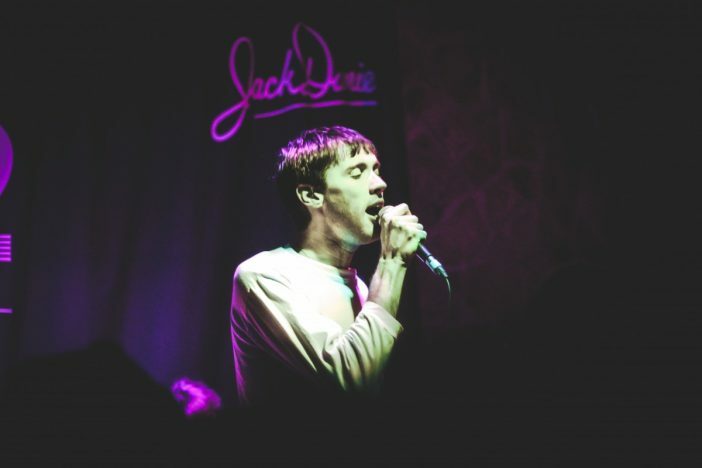 Pictures by Getintothis’ Olivia Hayes.